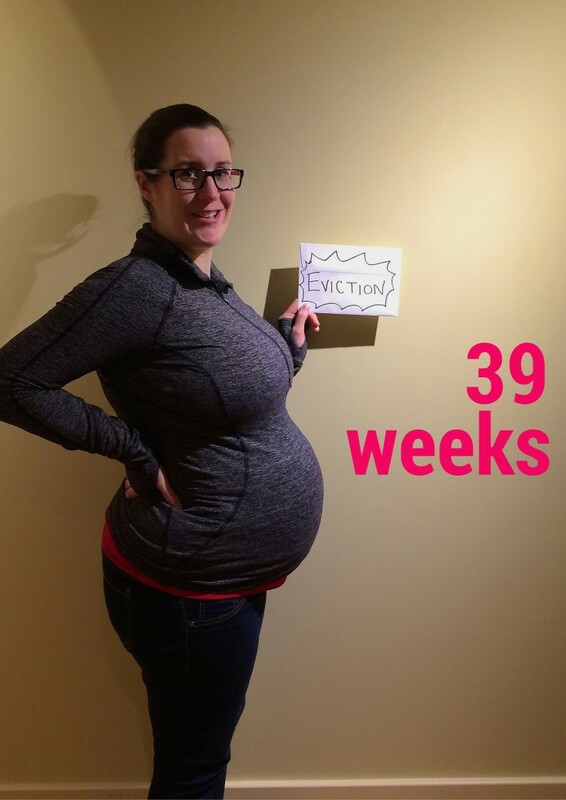 Okay, we’re at 39 weeks. You’re welcome to leave the womb. Seriously. Not even kidding. Mommy is ready. The house is clean, I’ve had my birthday, we’ve eaten our Christmas dinner in advance… anytime now. Oh, and you decided to give us a test run on Friday by making my belly go rock hard for two hours after jumping up and down all day. Nobody likes to sit in triage for an hour and hear women scream bloody murder… nobody. I still love you, though. Given that we celebrated Christmas early this year (in the event that you either appear on Christmas Day or have us exhausted by then), I’ve been thinking a lot this week about traditions. 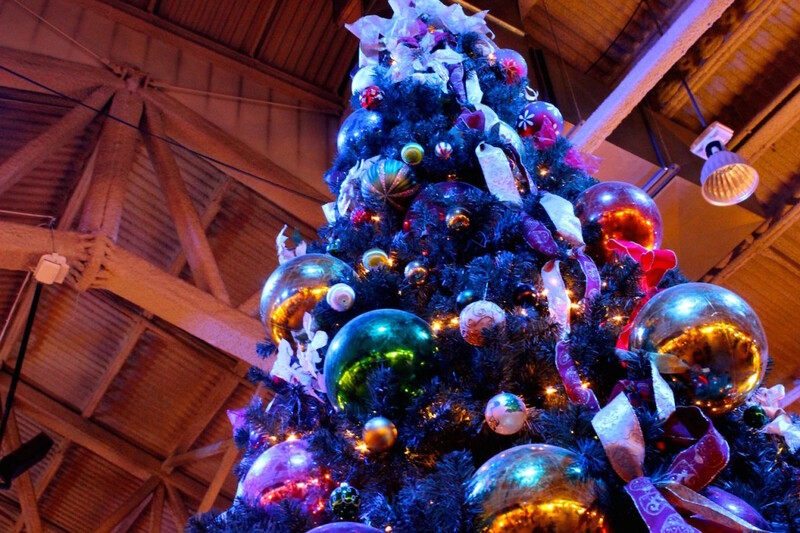 Holidays, family quirks, you name it. I noticed traditions properly for the first time when I spent my first Christmas away from home, working on the Isle of Arran in 2004. It was a huge adjustment not being with my family, but then again, everyone else that I worked with was in the same boat. A lovely pair of Finnish girls and I went to the Christmas carols at the church on Christmas even, went back to their place, and there may have been some beverages consumed. The next day, my coworker invited me to her family holiday celebration. Everyone did things so differently to what I was used to, but the common theme was in being together with good people, be they your immediate family or friends. 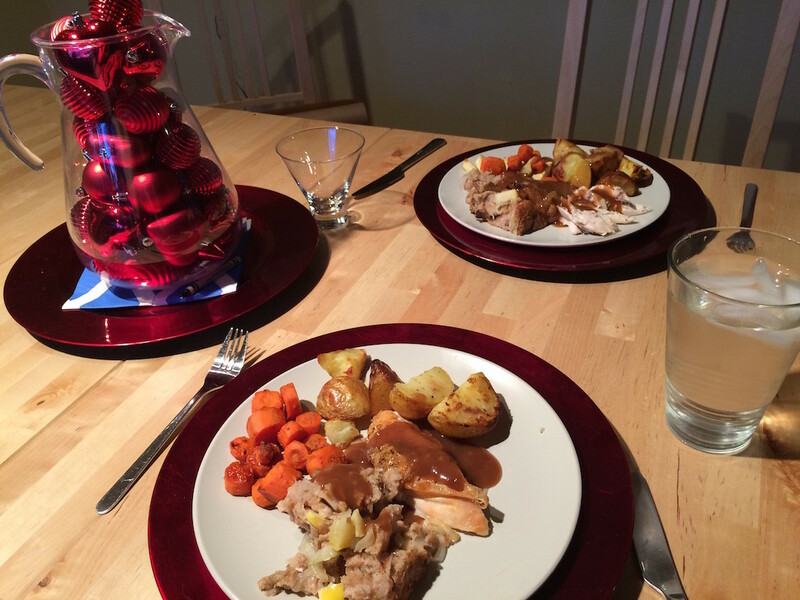 Your Dad cooked us up a delightful early Christmas dinner, complete with tasty apple stuffing! Once you move out of your childhood home, you have the luxury of deciding what traditions you’ll take with you, which new ones you want to adopt, and if you have a partner, which of their family traditions you’ll adopt also. Your Dad and I are in that place right now, imagining all the kinds of things we’d like to do with our soon to be family of three (and hopefully more) in future years. Baby Smith, my hope is that for you, holidays are about doing things as a family, about time spent together and neat experiences, as opposed to presents. Don’t get me wrong, there should always be something under the tree, but I’d hazard a guess that you’re more likely to remember the things we did, not the presents you received. At least, that’s what it was like for your Dad and I, as we discussed holidays over breakfast this morning. We also talked about how magical holidays are when you’re a kid. As a teenager and in your early adult years, things change. You get older, your priorities shift and the magic… it can lessen. Becoming a parent, I think we’re about to get access to a whole new kind of magic – the magic of making holiday traditions for you. I can’t wait to see your face light up on Christmas morning, to bake cookies together, to see your cheeks go red as we toboggan down a snowy hill and to teach you how to ice skate. I look forward to snow shoeing with you, to drinking hot chocolate by the tree, and to reading Christmas stories to you every evening before bed. Traditions don’t just come during the holiday season, however. Whenever your Dad and I have a day off together, we go for a walk and grab a coffee. It’s not earth shattering, but it’s our time together, caffeinating, laughing, chatting. When we first started dating and rarely had nights off together, in the early days we would go to the Ormidale pub on Arran and listen to the folk music. Or we’d make nachos and watch a movie. We still do that, even on our babymoon in Canmore! I’ve said it before and I’ll say it again, it’s all about the time that we spend together. It’s the best gift we can give one another. Before I know it, you’ll be a teenager that is more excited to spend time with your friends than with your parents. I look forward to creating our own traditions together, Baby Smith. Birthday traditions, especially. So… if you want to get going with birthday traditions… get out of my belly! Let’s start this wild adventure. Your head is RIGHT DOWN. The doctor at the hospital commented on it, so I guess you’re pretty much ready to go. So… get a move on! Birth and Babies class this week was tense. There were three couples missing, and the rest of us are just anxious, nervous and waiting. Waiting is a hard thing to do! Apparently I’m so Canadian that I dream of dressing you like a lumberjack. We bought you a red flannel shirt ages ago, and now I’ve got you red flannel boots to match ones we’ve given your cousin Maddy. Lovely post. As you rightly point out, it’s who you have in your life that’s more important than what you have.